Swami Satchidananda (Dec. 22, 1914 – Aug. 19, 2002) was a spiritual teacher and founder of the Integral Yoga International. He taught that “The goal and the birthright of all individuals is to realize the spiritual unity behind the diversity throughout creation and to live harmoniously as members of “one universal family”. Swami Satchidananda was born into a loving spiritual family on December 22nd in 1914 during the month known as Margali, the Dawn of the Devas. 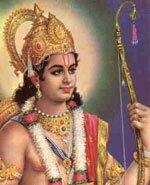 His parents were Sri Kalyanasundaram Gounder and his wife Srimati Velammai. 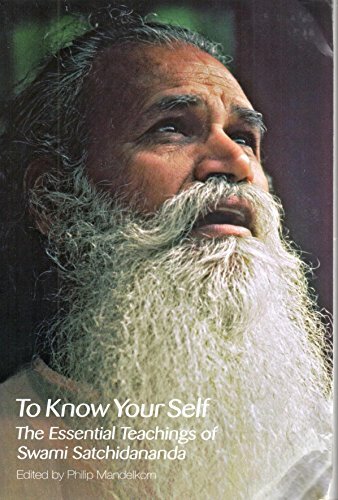 From an early age, Swami Satchidananda ( or Ramaswamy as he was known at the time) displayed many spiritual tendencies and a dedication to the truth. He says he felt an absence of attachment to material objects. In particular, he drew no distinction between people of different castes even though at the time the caste system was of great significance in influencing people. Ramaswamy was always quick to denounce the caste system and didn’t appreciate the complicated arguments put forward by his elders. However, this experience and others led the young Ramu to take a greater interest in yoga and spirituality. Swami Satchidananda thus at the age of 28 eventually decided to give up his successful worldly career in order to devote himself full time to spiritual practices. He writes that this decision to renounce the world was not about giving things up as much as gaining a new perspective on life. In his many writings, he often stressed the sincere gratitude he felt towards the loving guidance of his Guru, Swami Sivananda. He learnt many things but said the primary teaching of his Guru was that of service to others. Although a sannyasin Swami Satchidananda was active in serving others and was quite happy to use modern technology to disseminate the teachings of yoga. 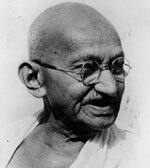 He undertook an arduous lecture tour of India and in 1953 was invited to Sri Lanka where he helped to run an ashram of the Divine Life Society near Trincomalee. Here he proved to be a much loved spiritual guide and was looked up to as a Guru. 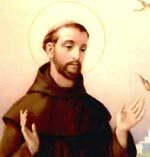 He also became well respected for his universalist approach to religion. Like many other great Saints of India, Swami Satchidananda believed all religions could lead sincere seekers to the same goal. His interfaith motto was the principle that “Truth Is One, Paths Are Many.” It was also during this time that he decided to make an arduous pilgrimage to the Holy Mountain Mount Kailash in the Himalayas. He felt he succeeded only due to the grace of Lord Shiva. 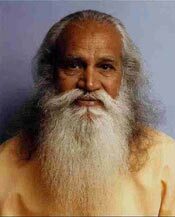 Swami Satchidananda is the founder of the Integral Yoga Institute whose centre is situated in Yogaville in Virginia, US. As a monument to the Swami’s interfaith vision of world harmony, the IYI built “The Light Of Truth Universal Shrine” (LOTUS). 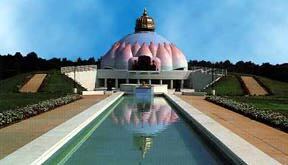 It is dedicated to the Light of all faiths and to world peace, was opened in 1986. Citation: Pettinger, Tejvan. 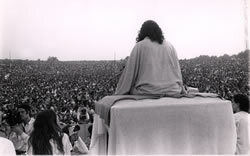 “Biography of Swami Satchidananda“, Oxford, UK – www.biographyonline.net. Published 12th Jan. 2013. Last updated 1 March 2018.